All triathlon finishers receive a race logo finisher medal. 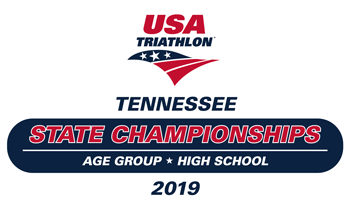 This event plays host to the USAT 2019 Tennessee State Championship for both age group and high school athletes. USAT state championship awards will be distributed to the top three overall adults in the olympic distance and top three overall high school division for the sprint. High Schoolers are identified as anyone entering their freshman year in fall 2019 to anyone that graduated in spring 2019.